Northwest Grocers can help you cultivate your business. We specialize in the independent grocery field and are owned, by independent retailers—we continue to grow our membership. We offer services, special events, and financial benefits.Northwest Grocers has all the tools you need not only to succeed, but to thrive. 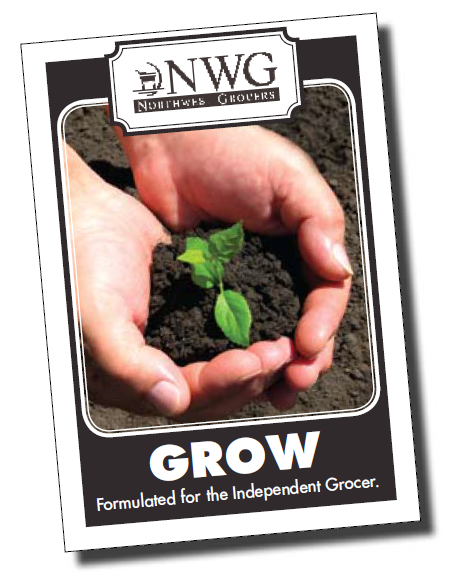 Northwest Grocers was formed in 2004, to help independent grocers operate more efficiently and economically. NWG is directed by a board of retail members. We have a staff with expertise in all disciplines; beer, wine, meat, seafood, deli, bakery, center store, produce and floral. The staff is well trained, passionate, and experienced, speaking and acting with one voice, committed to optimize the group’s strength and size. We are proud to live in the Northwest and honor our roots, not only in our name, but by working with the abundance of all that is offered to us. We have an advantage—the bonds we build are strong and the products we offer are at the peak of freshness. We support local; communities, growers and vendors—in turn we flourish.